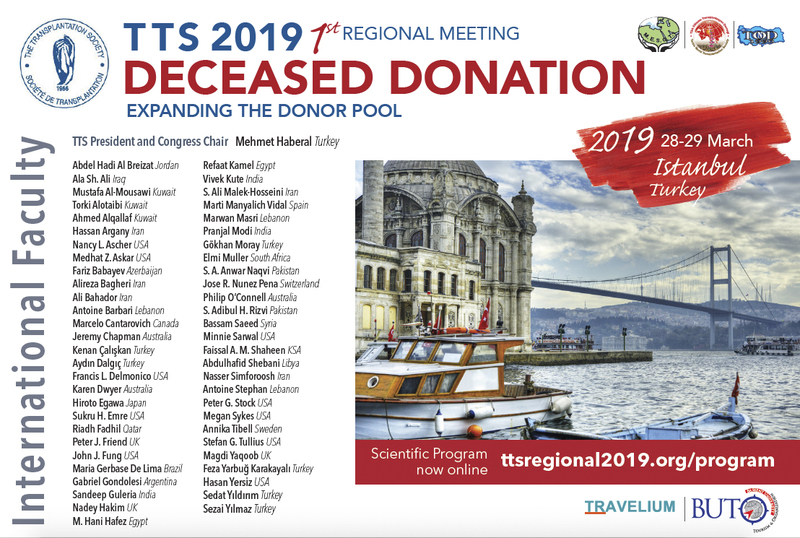 The TTS 2019 Regional Meeting will feature a distinguished international faculty to discuss the critical issues in expanding the donor pool for deceased organ donation. Please join us next month in Istanbul for this critical meeting! CLICK HERE TO ACCESS THE PROGRAm and register today! January 28 - During a recent visit to Myanmar, Marcelo Cantarovich, President-Elect of TTS, made a presentation on the role of the National Authority on Organ Transplantation at the 4th Myanmar-Korea Organ Transplantation Seminar held at the Myanmar University of Medicine 1 in Yangon. The seminar was attended by about 150 delegates each day, including two members of the Ministry of Health. Though Myanmar has organ transplantation legislation, there is current no deceased organ transplantation program – an objective of Myanmar. Dr. Curie Anh and Rafael International (a non-profit organization) have been helping the development of transplantation in Myanmar and Mongolia. One of the limiting factors is the lack of a tissue typing laboratory. At the present time tissue typing is performed in Singapore. Dr. Cantarovich's presentation highlighted the WHO guiding principles, the Madrid Resolution, the 63rd World Health Assembly, the recommendations of the WHO task force, the Declaration of Istanbul and the Declaration of Istanbul Custodian Group. About 120 people attended the performance of a living donor kidney transplant, a living donor liver transplant, and a liver transplant in a pig model, at the Thingangyun Sanpya Hospital and at the Yangon Specialty Hospital, respectively, all supervised by the Korean teams. Dr. Cantarovich commented on how impressed he was with the dedication of Dr. Curie Ahn and Raphael International in assisting Myanmar leadership in the development of deceased donor transplant programs, and necessary educational activities. Heart transplantation was still considered experimental in 1978 when Stuart Jamieson (long-time TTS Member) arrived at Stanford University, one of only three medical centers still doing the operation. Under the leadership of Norman Shumway, Stanford performed more than half the world's heart transplants in that decade, relying on azathioprine, steroids, and anti-thymocyte globulin for immunosuppression. 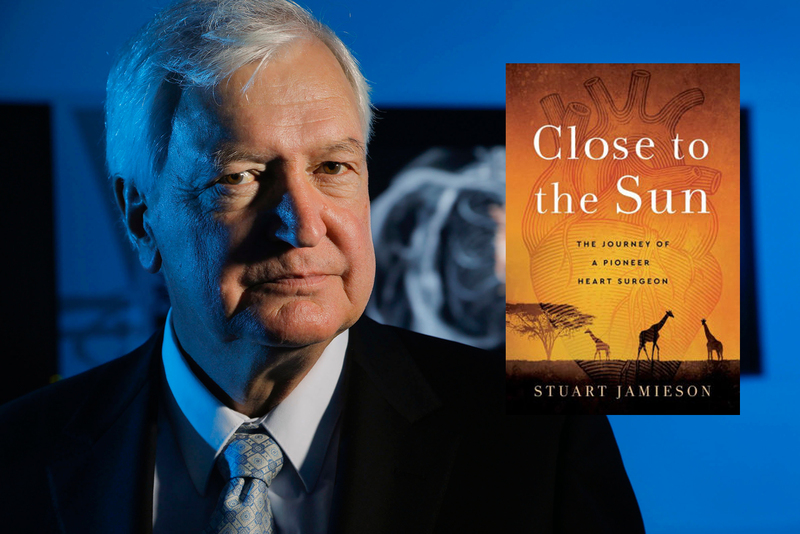 In his autobiography, Close to the Sun: the Journey of a Pioneer Heart Surgeon, Jamieson takes us back to the labs and operating rooms where the surgery was transformed from a failed to a lifesaving procedure. 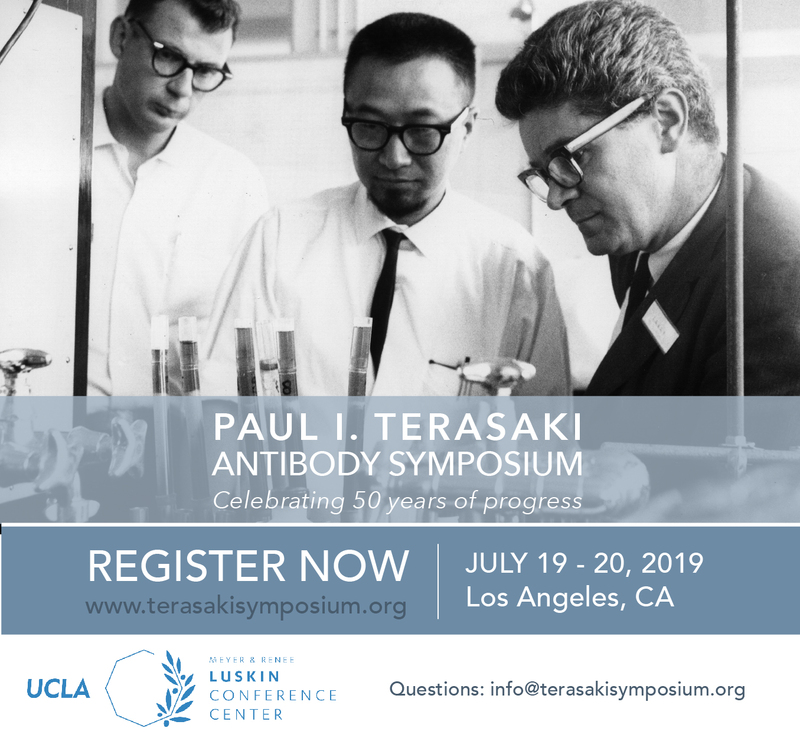 CTRMS 2019 - only TWO Weeks left to submit yoru abstract! MARCH 1, 2019 - 2 WEEKS LEFT! A Worldwide Survey of Live Liver Donor Selection Policies at 24 Centers With a Combined Experience of 19,009 Adult Living Donor Liver Transplants. Soin AS, Chaudhary RJ, Pahari H, et al. This is the first large survey, where authors target donor selection criteria worldwide in the field of living donor related liver transplantation (LDLT). Twenty-four experienced transplant centres (58.5%) completed the survey, and 10 centres involved, were of high-volume. The majority of centers accepted a graft to body weight ratio threshold of < 0.7 and a median donor age limit of 60 years. The median cut-off for donor BMI appeared slightly arbitrary with 33 kg/m2. Expectedly, donor liver enzymes were preferred low with AST and ALT of less than 50 IU/ml and donors, previously treated for coronary artery disease, cerebrovascular accident or primary malignancies, other than skin or brain, were largely declined. Interestingly, no consensus was achieved regarding donors with previous psychiatric illness, substance abuse or abdominal surgery. Importantly, the majority of centres still performed selective liver biopsy, mainly to assess liver steatosis, in context of elevated liver enzymes and features of metabolic syndrome. Uniform opinions were observed regarding biopsy proven macrovesicular steatosis and 50% of centres did also consider microvesicular steatosis as important criterion to decline the donor. Expectedly, high volume centres accepted most anatomical variations, except portal vein type D/E. 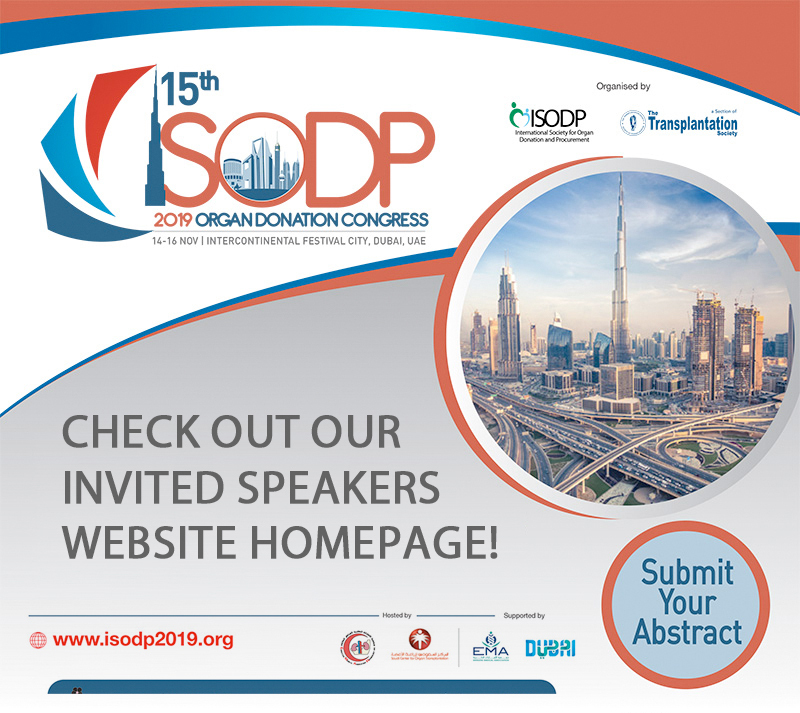 And a standardized policy regarding preoperative cholangiogram or other donor imaging, required to proceed with liver donation, was not demonstrated. Overall, this is an interesting survey, which demonstrates that despite the evolution in this challenging field of liver transplantation, several factors depend on centre policy and surgeons experience. February 11 - Hospitalization for vaccine-preventable infections occurs in more than 15% of pediatric solid organ transplant recipients in the first five years after surgery, according to a study recently published in JAMA Pediatrics. February 8 - Researchers’ experimental approach for preparing mice for blood stem cell transplantation may one day make it possible in humans to safely transplant organs or cells from any donor to any recipient. February 9 - Outcomes are similar for blood type A2 to blood type B and B to B deceased donor kidney transplantation (DDKTx), according to a study published online in the Journal of the American College of Surgeons. February 7 - Using regorafenib (Stivarga) after hepatocellular carcinoma (HCC) progression on sorafenib (Nexavar) in the post–liver transplantation setting produced overall survival (OS) effects similar to those of patients without liver transplant, according to results presented at the American Association for the Study of Liver Diseases’ (AASLD) 2018 Liver Meeting held November 9 to 13, 2018, in San Francisco, California. February 11 - A new case study out of New York University’s Steinhardt School of Culture, Education, and Human Development finds that face transplant surgery in patients who have experienced severe facial trauma can improve speech production. February 6 - Drug intoxication deaths have risen dramatically over the past several decades. From 1999 to 2016, the number of deaths due to drug intoxication more than tripled. Over the same period, the number of hearts recovered for heart transplantation has dramatically increased, with the proportion of hearts from drug-intoxication-related donors now making up 17.6 percent of available organs.